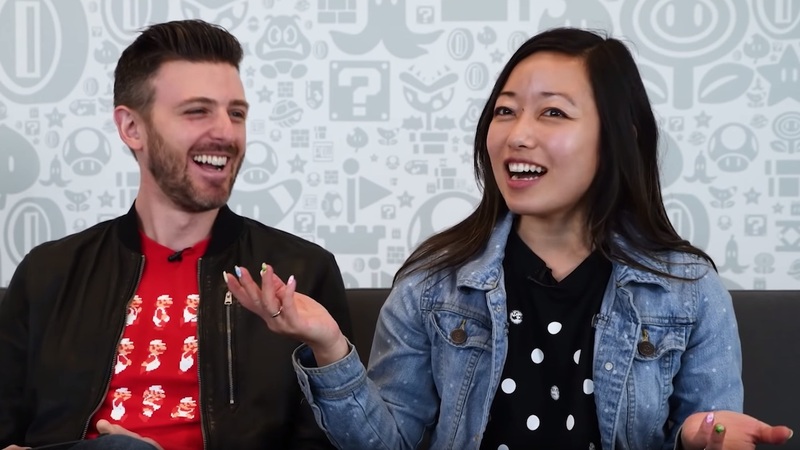 In this week’s Nintendo Minute episode, Nintendo of America’s Kit Ellis and Krysta Yang have the chance to play SteamWorld Quest: Hand of Gilgamech. In the role-playing card game, you will lead a party of heroic steambots. With the chance to explore a hand-drawn world, turn-based battle encounters will see you use a handful of cards to topple your enemies. There are more than 100 unique punch cards, with which you can craft your own deck. There are treasure chests filled with gold to discover, dragons to fell, magic, knights in shining armor and XP to earn, with the experience mixing a traditional fantasy setting with steampunk robots – packed with the usual humor. SteamWorld Quest: Hand of Gilgamech will release first on the Nintendo eShop for Nintendo Switch worldwide on April 25th, priced at £22.49 (€24.99 / $24.99).